Some bigger model fish are starting to show in shallower water now. Good fishing hanging midges under an indicator above the weeds at Silver. A good sonar will give you an idea of where the best concentration of fish are. This time of year the creek and river inlets hold the most fish. They still bite as the breeze comes up and you can have some pretty good number days here. The weeds are now well established at the south end of Silver. Grant Lake has been giving up some nice fish toward the inlet under an indicator. Other alpine lakes may require longer leaders to get down to the fish but the setup is still the same. 9′ leaders with #18-20 paramidges and griffith’s gnats for the surface action. Go with small copper john’s , Pt’s , and midges when going subsurface or hung under an indicator. Bridgeport Reservoir: Midges Still Working Well Over the Mud Bottoms! 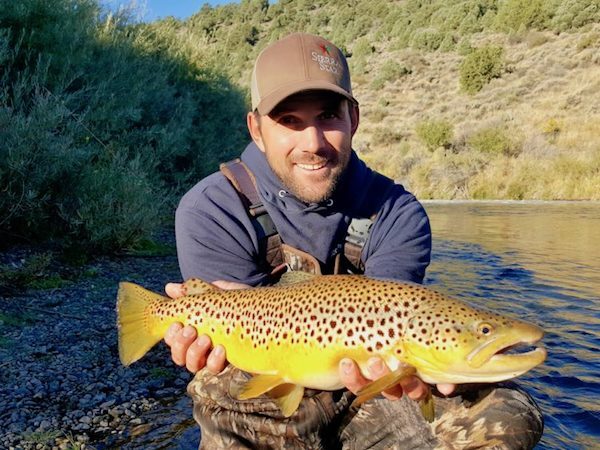 Hot Creek: Dry Fly Fishing Along the Open Stretches has Been Productive.